Our administrators at our New Patient Office are happy to help patients begin their cancer journey at Fox Chase Cancer Center. No matter what brings you to Fox Chase, your decision to come here provides you with access to leading physicians, cutting-edge research and clinical trials, state-of-the-art technology, novel treatments and therapies, and a truly excellent support staff. Our entire team is committed to treating you with respect, dignity and compassion. 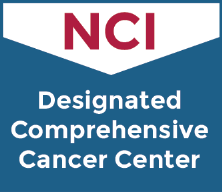 We are proud to say our hospital consistently ranks among the best for cancer care. For the last two years, we’ve been recognized by U.S. News & World Report as one of the top 25 cancer centers in the nation. As part of the Temple University Health System, Fox Chase offers a full range of services right on our campus. Our Patient Guide— specially designed for you, your family and your caregivers—includes important information about our services and answers questions you may have throughout your visit. Thank you for trusting your care to us.